AWICS has been appointed as Independent Tenants' Advisor for the tenants of Sheerwater in Woking. Plans to transform Sheerwater were approved by Woking Borough Council on Thursday 6th April 2017. By using the existing sense of community, the regeneration provides an exciting opportunity to create a thriving, balanced and sustainable community for the future that meets the housing needs of residents. The regeneration will allow local people of all ages to benefit from high quality new homes, excellent leisure and retail facilities, open green spaces and improved transport links, as well as a local centre that blends social, retail, recreation and community uses. It will also provide economic benefits for local people and businesses by offering local job opportunities and ensuring that much of the money spent on the scheme is spent with local companies. A wide range of house types will ensure a choice of modern, spacious, energy efficient homes that are economic to maintain, and flexible enough to satisfy diverse and changing needs. Adrian Waite, the Managing Director of AWICS Limited has been appointed as the Independent Tenants’ Advisor. He will be supported by the AWICS staff team. Our principal role is to provide relevant, independent and confidential advice to secure Council tenants who are affected by the regeneration in Sheerwater. "Independent impartial advice from a qualified organisation to ensure tenants have the information they need to make informed decisions on all issues affecting their homes and their lives." The Community Charter for the Sheerwater Regeneration sets out Woking Borough Council’s commitments to residents of Sheerwater who are affected by the regeneration. Under the Charter secure Council tenants affected by the regeneration programme will have access to advice through an Independent Tenant Adviser. Any secure council tenant who lives in the regeneration area and who has questions or concerns about the Sheerwater Regeneration scheme should contact the Independent Tenants’ Advisor for advice. The freephone helpline is manned by Adrian and his team between 9.30am and 5.00pm on working days. At other times, tenants can leave a message that will be responded to on the next working day. Email enquiries will be responded to within 24 hours or on the next working day, whichever is the later. Please note that this service is only available to secure tenants of Woking Borough Council. Information about the Sheerwater Regeneration scheme and about the activities of the Independent Tenants’ Advisor will be posted on this website as well as on the Council’s website. In April 2019 the revised hybrid planning application received planning consent. Work is now expected to start on site within a matter of weeks. A newsletter will be sent to residents during the week commencing 15th April 2019. To view or download a copy of the April newsletter, please click here. The planners at the Council sent out a neighbour letter in March 2019 about the planning application. There have been no major changes to the application. This is a further submission to address matters of detail and technical considerations related to matters such as air quality, drainage, refuse strategy and floor levels; there is also a correction to the number of properties being demolished. To view or download a copy of the letter, please click here. The Council has appointed Land Referencing Services (LRS) to undertake the land and property ownership research that is needed to prepare the Compulsory Purchase Order (CPO). The purpose of the research is to enable the Council to identify who has property interests in land (e.g. owners, occupiers, rights over land) in, and adjacent to, the Sheerwater regeneration area. They will need this information for when they make a CPO. The CPO needs to be served on anyone with a relevant interest in the land affected. The Council wrote to all tenants in January 2019. To view or download a copy of their letter, please click here. The Council publishes Residents' Newsletters that provide updates on the Regeneration project. The edition for December weas the last in 2018. To view or download a copy, please click here. 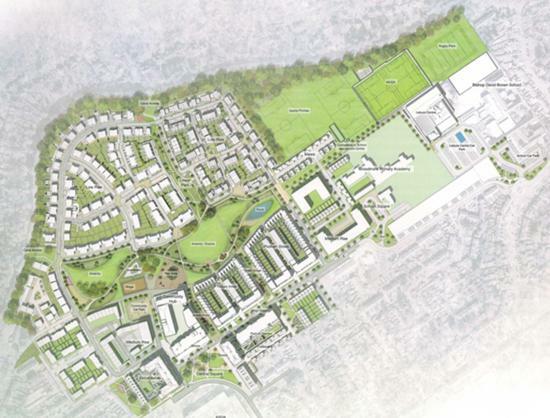 Changing the technical definition of the development from up to 1200 homes to 1003 new homes to reflect the illustrative masterplan which had been submitted. The actual drawings and numbers proposed haven’t changed. The letter explains how residents can make their views known about the revised application by writing to the case officer. The closing date for feedback is 6 December 2018. The letter may be viewed or downloaded by clicking here. On 3rd August 2018, an article appeared in the 'Local Government Chronicle' about the Sheerwater Regeneration scheme entitled 'Woking gets radical to help those struggling to buy'. To view this article, please click here. The Council has published a 'Sheerwater Community Charter' that sets out their commitments to residents of Sheerwater affected by the proposed regeneration project. Woking Borough Council plans to transform Sheerwater through a regeneration scheme. 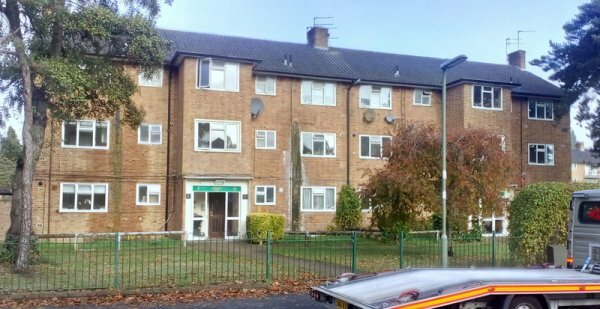 To contact the Independent Tenants Advisor, Adrian Waite, and his team, email sheerwater@awics.co.uk or telephone the freephone helpline at 0800-321-3461. Do You Need Information about the Sheerwater Regeneration Scheme translated?